Complimentary self-parking is available throughout Fair Park on a first-come, first-served basis. Valet parking is available for an additional cash charge for most performances. Restrooms are located in the lower lobby and in the balcony. Accessible restrooms are located on the main lobby level. The Music Hall welcomes all patrons and offers a variety of services to meet special needs. Using the Parry Street entrance, patrons may be dropped off and picked up at the circle drive for easy access into and out of the Hall. All levels are accessible using an elevator, however we recommend patrons with mobility issues be seated in accessible sections for easy access into and out of the performance hall. Assistive listening devices are available. See a front-of-house representative for more information. M Dining at the Music Hall, a buffet style restaurant, is available prior to most performances. For more information or to make a reservation, visit MusicHallDining.com. 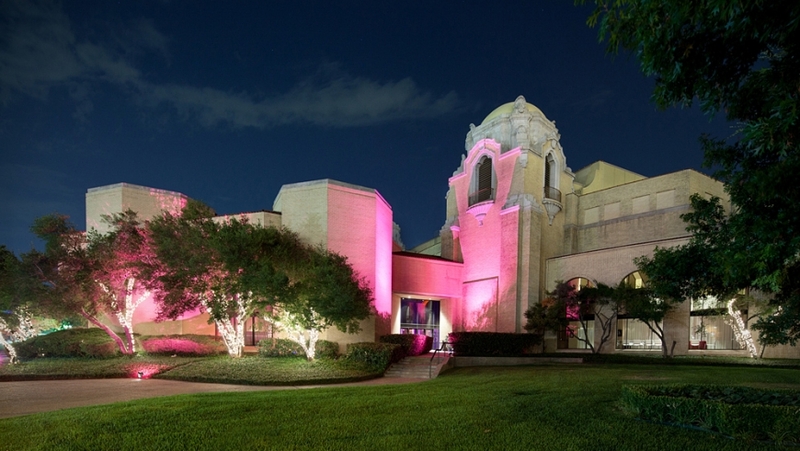 Opening in 1925, the Spanish Baroque-style Music Hall is situated in Fair Park. The 3,420 seat performance hall was formerly the home to Dallas’ first resident performing arts companies, including The Dallas Opera, Dallas Symphony and Fort Worth/Dallas Ballet, and continues to host the Dallas Summer Musicals.